Participants to the Health workshop held in Saba last week. 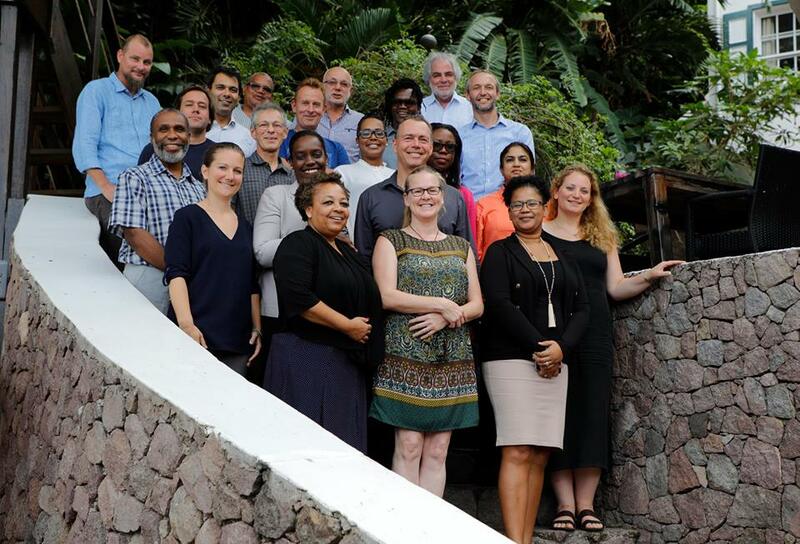 The Bottom, Saba -Last week over 25 Public Health professionals, Vector Control Specialists, Laboratory Microbiologists and Health Policy advisors from St. Maarten, Curacao, Bonaire, St Eustatius, Saba and the RIVM came together on Saba for the annual meeting on the International Health regulations (IHR). The IHR are a set of agreements between countries and islands to limit the risk of cross border health threats such as outbreaks of infectious diseases. It was the first time this meeting was held on Saba, and besides work there was some time in the program to show the (many first time) visitors the beauty of Saba.